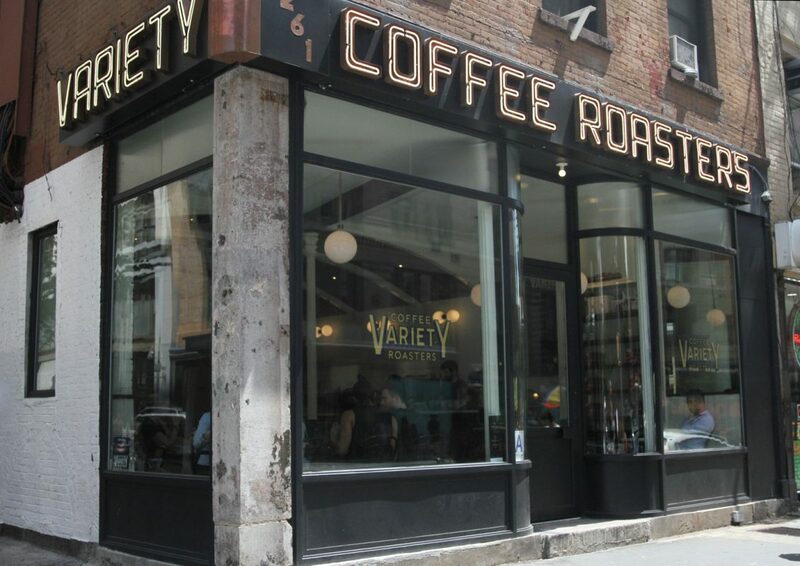 Variety Coffee is a Williamsburg-born roaster that has 5 locations in New York. 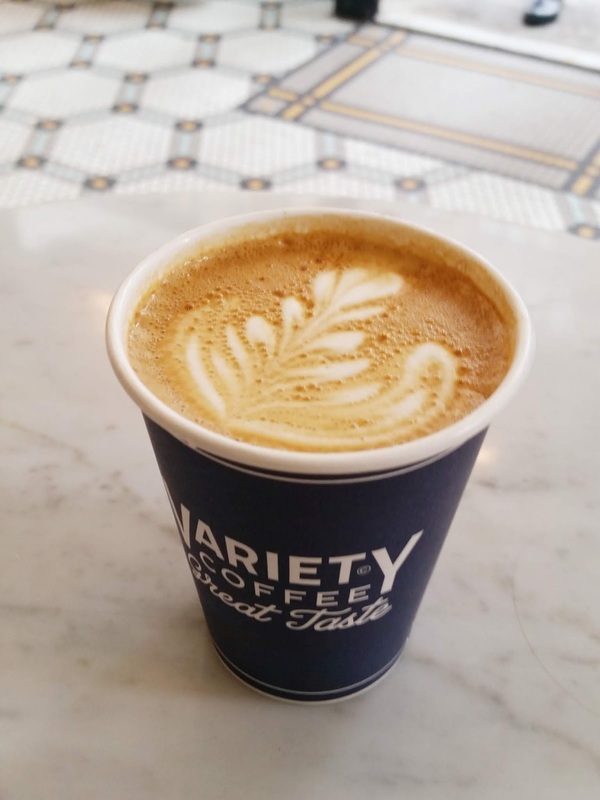 They opened in 2008 and have since expanded locations to serve coffee-lovers in Bushwick, Williamsburg, Greenpoint, Chelsea and the Upper East Side. 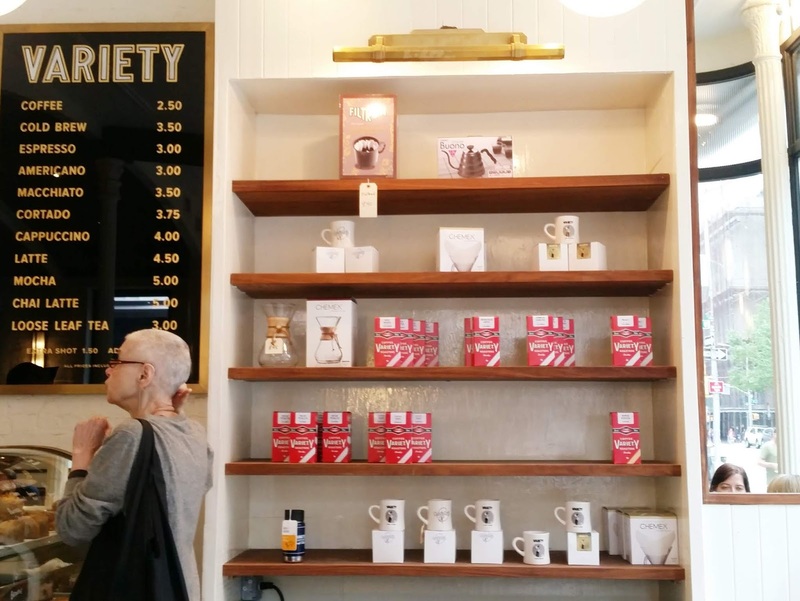 The first thing that jumped out at me was the vintage lettering outside the Chelsea location. The inside is a beautiful large space with leather booths, and plenty of tables conveniently located close to outlets. I love the high, curved wood ceilings, gorgeous tile designs and the natural light that floods in through all of the windows. 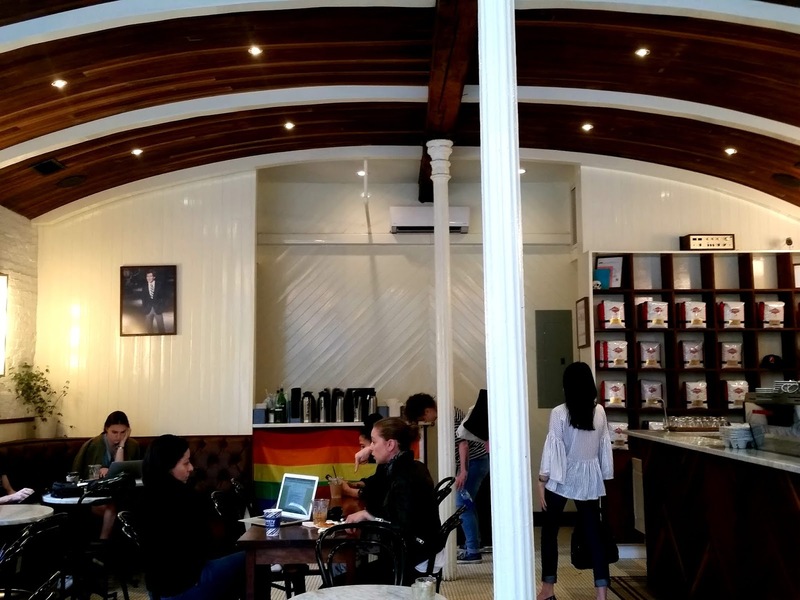 The wood accents, gold trim and long coffee bar added such a nice friendly and welcoming feel. The day we popped in the vibe was a mix of young couples, older individuals and techie-looking people hammering away at their laptops. 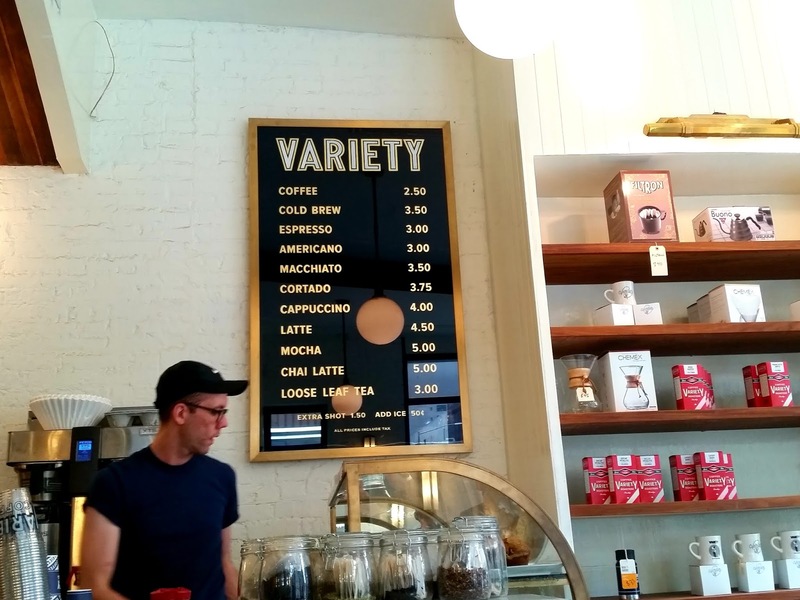 The coffee menu is short and simple. I had a drip coffee and Alan got a cappuccino which were both delicious. I really loved the graphic design on their cups too. 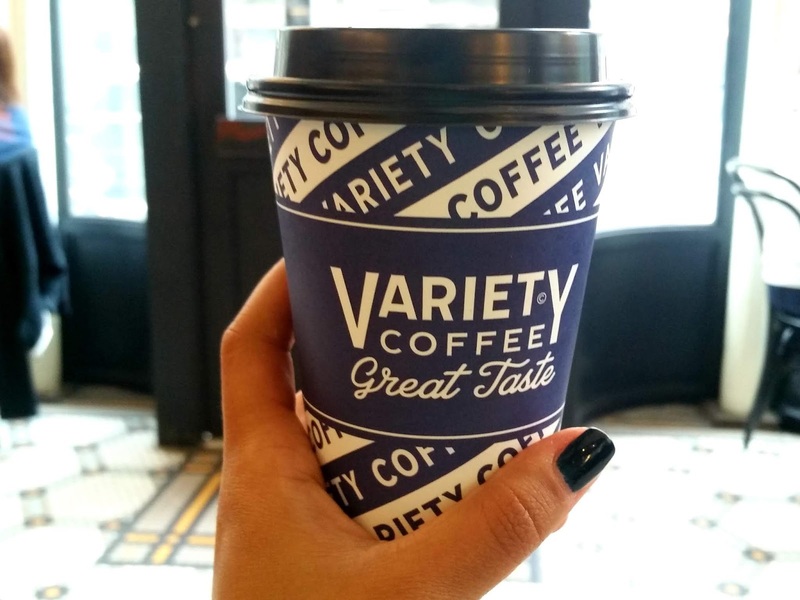 Everyone online leaves reviews saying that their coffee is consistently delicious and that’s why it’s their go-to spot! You can buy hand-brewing equipment and also subscribe for bi-monthly deliveries. They also sell their coffee at Whole Foods – just look for the package with lips and you won’t miss it! Travel Tip: Get your coffee to go and walk along The Highline for some great views of Chelsea.